Edo era, and flourished as Minato ship luck of the Nagara River, Kawahara-cho, which was developed as a wholesaler the town. 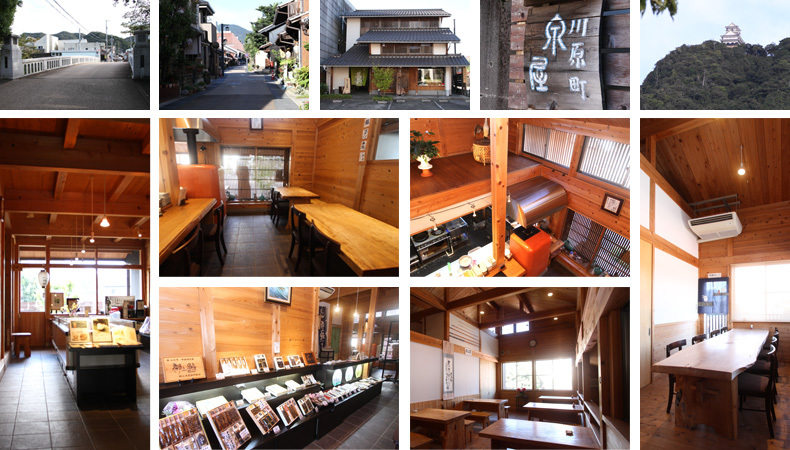 Among the old houses with lattice door is join the eaves, we opened a "Kawahara-cho Izumiya". Ukai pleasure boat pier also close, you can taste the Ayu cuisine before and after boarding. In addition, it is also possible to boarding will have a such as "Ayu grilled", "bamboo-rolled sushi." Please enjoy not hesitate to regional flavor of Nagara unique. Wednesday regular holiday( July-August it opens daily. )There is winter season suspension of business.